Dam’s Sire: Moorfield Edward (46584)It is with a huge amount of reluctance and regret that I am offering Escrick Supreme for sale. 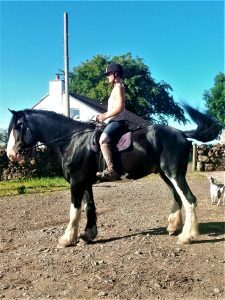 He has a fantastic temperament, is very gentle and easy to handle in all situations. He hacks out alone or in company and has proved to be very honest and forward-going with great paces. He would make a great ridden show prospect. He is a stunning, kind natured horse with much to offer. With limited time and no transport, I have come to realise his potential is being wasted with me. He deserves a home where he will have more prospects for breeding and displaying all he has to offer. Viewing is welcome. 5* home only. He deserves the best.